The book begins by explaining all sorts of things you’d rather not know about the 2500 food additives that lurk in the processed foods that most people eat on a daily basis. These additives consist of stabilisers, acidifiers, preservatives, enzymes and texturing agents and if you want to avoid them, as I mostly do, then you need to grow your own vegies, buy carefully and make your own meals from scratch. Even if you’re not paranoid about it, it’s getting hard to buy a tin of tomatoes to make your own pasta sauce, because these days the tomatoes have mostly been ‘improved’ in some way. Fortunately you can still buy Italian tomatoes that are just tomatoes and that saves the anxious process of bottling them (because I am a bit paranoid about botulism). xanthan gum which is a thickener derived from glucose. On to page 18, and there it is: a simple five-step process to turn any solution you like into pearls. Basically what you do is to chill some vegetable oil in a glass, mix some agar-agar into your chosen solution, bring it to the boil and place it drop-by-drop into the oil using the special little pipette that comes in the kit. Then you take the little pearls out using a slotted spoon and put them into fresh water to rinse off the oil. Voilà, and there they are. (As you can also see, here on this video using balsamic vinegar or for the more ambitious, honey caviar). Remember not to put them in the freezer after all that hard work, see the paragraph above). Yes, I know, why would you? Well, for fun. To be playful in the kitchen and to make your guests chuckle at the silliness of it. Or, if you’re the type, to impress your friends. (But you probably won’t be asked to any dinner parties afterwards, they’ll all be too intimidated). The book crashes in credibility on page 31 when – in amongst its other info about gelatin – it tells us that gelatin is found in cosmetics as ‘hydrolysed collagen’ which is known for its anti-aging effects. Yeah, right. liquid nitrogen can be used to turn corpses into fine particles, which should free up more space in cemeteries, I guess. The recipes all look divine. Edible Margaritas appeal, and so do strawberries stuffed with red wine vinegar. Destructured raspberries look scrumptious and so does cocoa done in the same sort of way. Ham-wrapped melon sushi looks gorgeous, and the bubble-gum fondants look like green and yellow fairy floss. But Surprise Cranberry Jelly with lemon juice pearls and tapioca will probably, alas, still taste like cranberries. And I bet if someone put Cloud of Chips on the menu at a restaurant and someone ordered it thinking a child would eat it, there would be a major tantrum when the potato foam arrived. On the other hand Salmon and its Three Foams (soy, lemon and ginger) would be divine. Are any of these do-able? Yes, by the look of the instructions, but you need to be keen, have a sense of humour and a budget that can cope with needing to send out for take-away instead – and not be too bothered about it if it doesn’t work out. What I’m thinking of is this: The Spouse likes green tea ice-cream, and I think I could have a go at making some (inexpensive) pearls made from different kinds of tea: maybe lemon and ginger, or even the tea that he makes using herbs such as rosemary from the garden… and then serve it with the pearls sprinkled around a quenelle of the ice-cream and garnished with a sprig of mint. I’ll put a photo here when I try it out. (But don’t hold your breath, I’ve got some new books that are discouraging me to from doing anything else except reading for the time being). Author? There are no names provided and you can’t find out much more from Our Story on their website. Available from their website, and maybe other places that sell cookbooks. What a great present. It sounds all very interesting and wonderful fun in the kitchen. LOL it’s not what I expected to learn from a foodie book! Haha Lisa, I don’t think I’d ever have the enthusiasm for trying things like this. I’m minimum effort for maximum effect kind of cook! 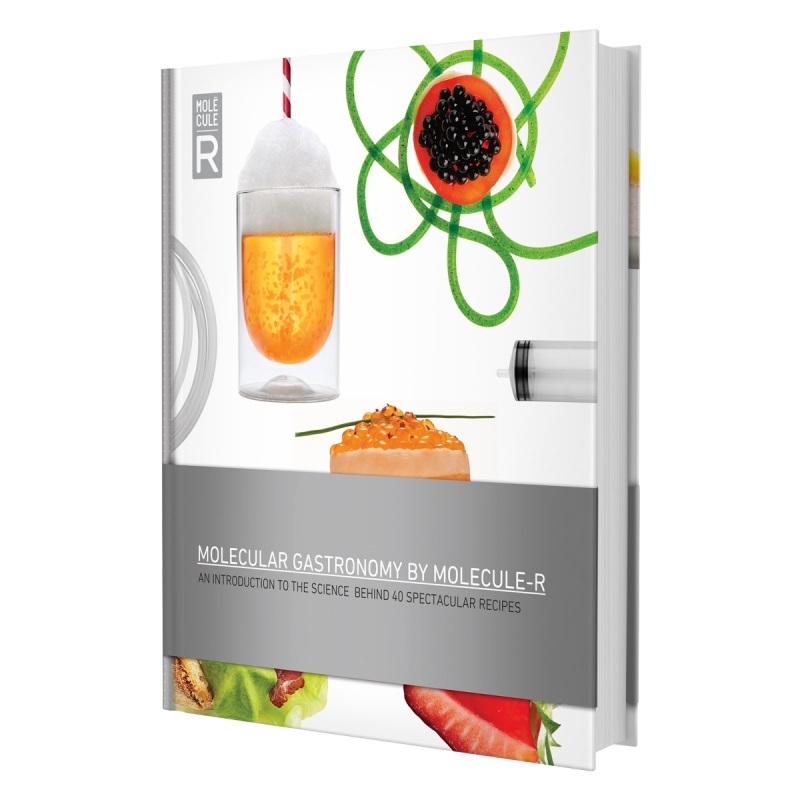 X-Mrs Legend and Psych daughter think they are going to be Masterchef contestants so I might give them this book when we have our mid-January Xmas. But I think I’d better include your review with it as well.